Hakoah Sydney City East are the front ladder leaders after a blockbuster round three of the National Premier Leagues NSW Men’s wrapped up on Sunday night. The Gavin Rae coach side claimed an incredible victory against Rockdale City Suns this weekend despite their opponents dominating proceedings for almost the entire 90 minutes. Hakoah’s win wasn’t the only dramatic result with Mount Druitt Rangers fighting back for a draw against Manly and Sydney United 58 was able to put a stop to Wollongong’s winning start to the season by claiming a point in a comeback.  Reigning premiers Sydney Olympic delivered one of the performances of the round as they bounced back from a 2-0 deficit to claim a wild 3-3 draw. If round three’s results are anything to go by, this season’s competition is heating up fast. A brace from Chris Payne has powered APIA Leichhardt Tigers return to the winners circle as they edged Sutherland Sharks 2-1 in their National Premier Leagues NSW Men’s clash at Seymour Shaw on Saturday. The win was a brilliant response from APIA who suffered a humiliating 3-0 loss last week with today’s three points moving the John Calleja coached side back into the top six. However, it was Sutherland who started the better of the two sides when Jeremy Cox gave the home side the lead with a nifty finish after only 12 minutes. Payne levelled the scores midway through the opening stanza with a clinical dispatch from the penalty spot to send the game into the interval locked at 1-1. The veteran striker was at it again after the break to wrap up the win with a thunderous strike into the back of the net as APIA clung on for a hard earned victory on the road. Manly United and Mount Druitt Town Rangers have played out a dramatic 2-2 draw after a breathless second stanza saw in a storm-affected National Premier Leagues NSW Men’s fixture at Cromer Park on Saturday night. In a clash that was originally scheduled to take place at Mt Druitt’s Popondetta Park, mother nature continued to wreak havoc as the devoted Northern Beaches crowd saw kick off delayed by over an hour due to nearby lightning. It was a gutsy performance from Mount Druitt, who created their fair share of opportunities to win it despite losing three players to injury in the first half and being pinned back by a determined Manly side for extended periods. An incredible Sydney Olympic fightback has stunned Blacktown City as the reigning premiers snatched a dramatic 3-3 draw in their National Premier Leagues NSW Men’s clash at Belmore Oval on Sunday. The home side recovered from a two-goal deficit in the early stages of the game to earn a point in the action-packed clash. Blacktown would’ve thought they were on their way to a big victory after only 15 minutes as they took a 2-0 lead thanks to goals from Grant Lynch and Leroy Jennings. However, Olympic found their groove late in the opening stanza and fought their way back into the contest as Nikola Kuleski and Alex Sanchez both scored to level proceedings. A Joey Gibbs goal early in the second half had the visitors in the drivers seat, but it wasn’t to be with Olympic snatching a point thanks to a Jason Madonis goal 19 minutes from full time. It was a thrilling encounter but is sure to leave both sides with plenty of questions heading into Round 4. Thomas James added to his incredible scoring run to break the deadlock after 38 minutes to give the visitors a 1-0 lead at the break.